What? 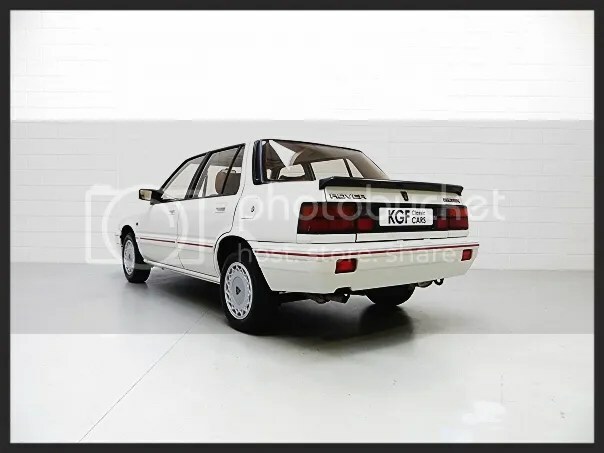 – An extremely scarce 1990 Rover 216SX finished in Diamond White. A contemporary replacement for the ageing Triumph Acclaim, the Rover 200 was a collaboration between Japanese car maker, Honda, and the Longbridge boys. All manual models, including this one, thankfully received the gearbox from the Civic of the time, with some lucky owners able to specify the Civic’s 1.3-litre engine. This specific version features Rover’s own 1.6-litre engine, producing 85bhp, which was considered the sportier drive (despite the infamous head gasket pandemic which plagues most Rovers). The introduction of this model enhanced the reputation of the brand, which had previously been tarnished by ancient technology and industrial action, with later face lift models proving the best buy. Where? – For sale via KGF Classics, based in Peterborough. Odometer reading? – A very modest 21,450. Less than 900 miles per year since new. The Bad Bits? – Besides remaining vigilant for head gasket failure and corrosion, which is unlikely from this dealer, nothing springs to mind. A small mention is given to a minor paint blemish on the fuel flap, which is a minor wound for a 24 year old car. Why? – Most SD3’s met an early demise due to rampant corrosion issues, leading to costly MOT failures. According to Howmanyleft.co.uk, only seven 216SX’s exist in Britain today, with only three registered as road worthy. Not only is this car nearing on extinction, but the specification is to die for. As the car was purchased on the Rover Management Plan as a company vehicle, the options list was ticked a tad more than the majority of other poverty spec models. 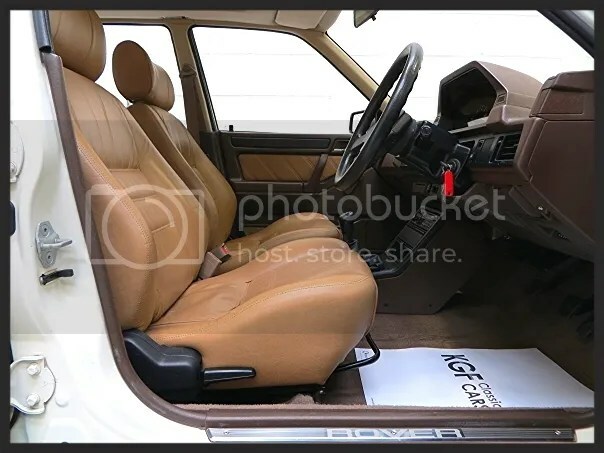 A boot lip spoiler, Vitesse cross spoke alloy wheels, and beautiful tan leather were amongst the optional extras included with the original sale of this vehicle in 1990. Following this later Rover 216’s Management acquisition, ownership was shared between a loving woman owner, and later two brand enthusiasts. Therefore Time Warp Tuesday can definitely assume the condition of this vehicle to be not only exemplary, but potentially the best Rover SD3 200 Series left in the world today. Expect this car to attract a fair amount of attention on the Rover and classic car scene. How Much? – Considering the condition and attention which this dealership gives to its classics, the asking price of £2,395 is fairly reasonable. Got a Link? – KGF Classic Cars. Follow Time Warp Tuesday on Facebook.